Karlsgatan Kafé offers hot and cold dishes and beverages, cakes and snacks at good prices. 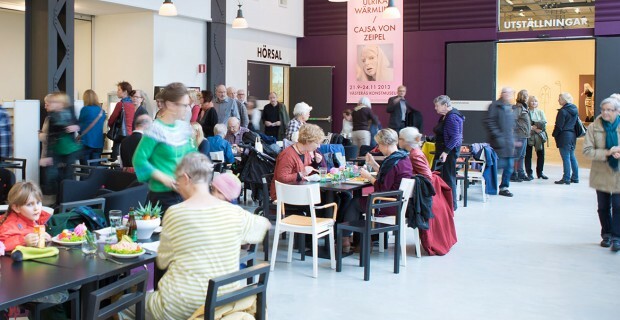 The café is located in the former factory hall, by the entrance at Karlsgatan 2. Karlsgatan Shop offers books and design products, often in relation to the current exhibitions or program at Västerås konstmuseum and Västmanlands läns museum. The shop is located by the Information desk at Karlsgatan 2.